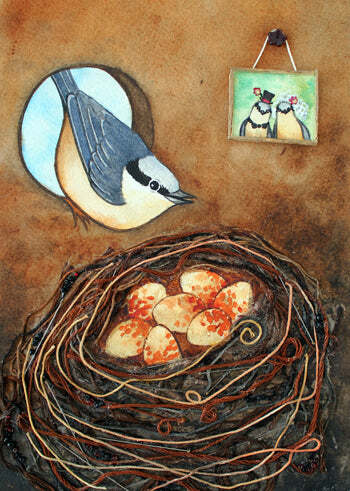 Bird nests, robin and nuthatch. I've moved this blog from pencilshavings.net, here to katedolamore.com, where it will permanently reside for the rest of it's days. Please update your links! 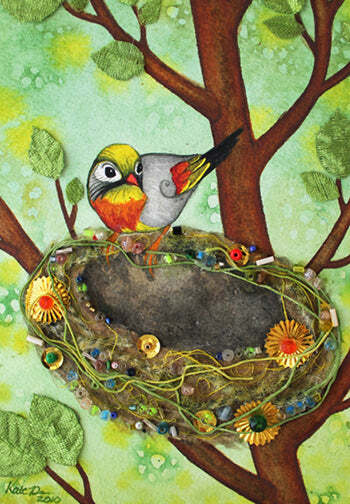 And now-- two new nest paintings! Aaaah I am loving this little nuthatch in it's nestbox with a wedding picture on the wall! That was my boyfriends idea and I think it is too cute! Prints are already up on etsy!